- changed ingame menu close button to upper right "X" to stop it from interfering with the inventory at the bottom. 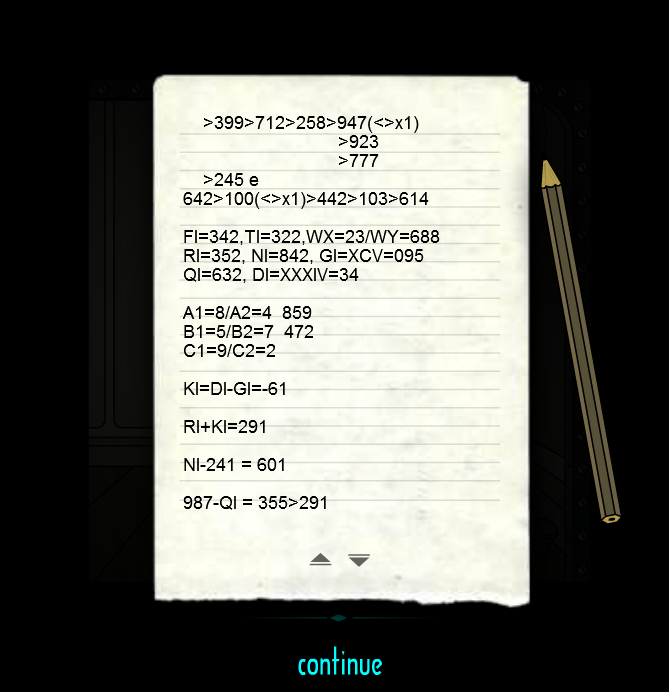 Been replaying it blindly from scratch, and noticed that note in 355 spoils 291 that supposed to be answer for whole 5 room clue thing(RI+KI, KI=DI-GI, RI=CCCLII, GI=XCV, DI=XXXIV). 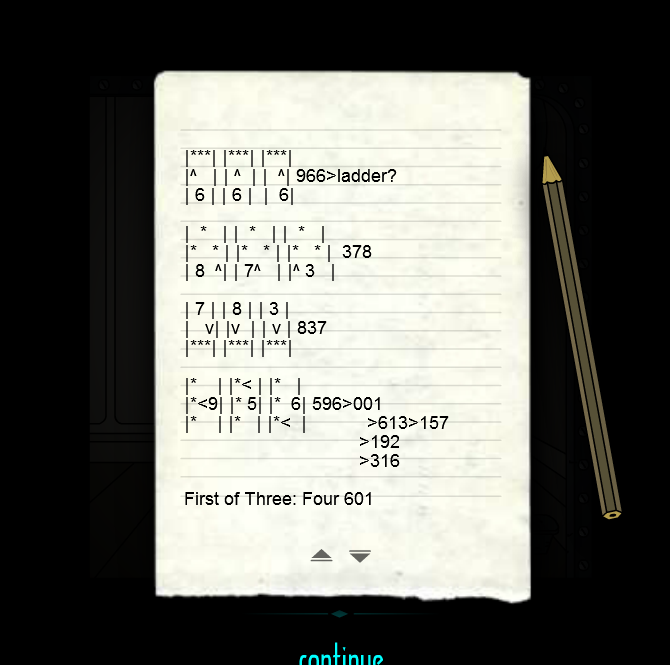 Did I messed up the puzzle, or jumped some steps? Cause it seems kinda counterproductive. 355 is just as hard to get to than 291 (Actually if you play all the way straight, you might end in 291 before 355). Mateusz removed some "double clues" a while ago, and I guess that was the reason he didn't change that one. Well, the point of ingame notepad, to not have to use a psychical one, so this time I tried to use it to the fullest. Kinda like Sub5 notepad, I would like to just note and sketch things in it. How is that just now I noticing that the 218 expansion includes WIQ's KS symbol. Very fitting, of course. Also regarding that location, the symbols on the back wall are all different across the three rooms (circle, rectangle, triangle). It reminds me of the 770 etching and while I'm sure Mat didn't mean for it to be a clue, I've just now noticed the similarity.